As a frequent visitor to the US I should be used to their propensity to supersize everything but each time I visit I am always shocked at the contrasts with the UK. I thought that with all the publicity about obesity and the cost of fuel, the food portions may have shrunk a little and people would be driving smaller cars but last year when I visited Cedar Point and Six Flags Magic Mountain nothing seemed to have changed. 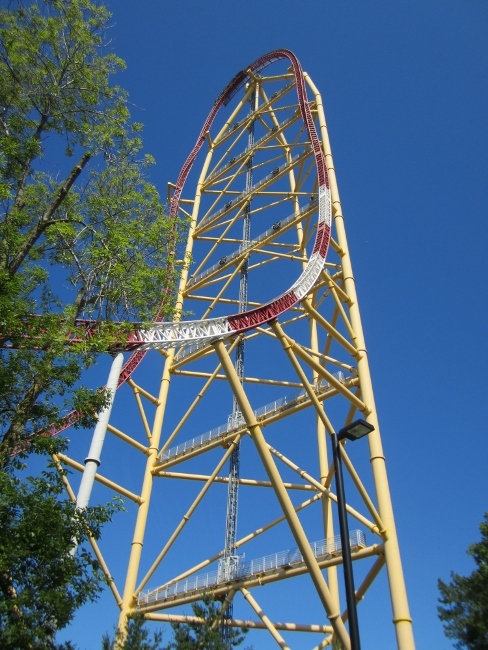 After landing in Detroit and driving over to Cedar Point I was keen to take in a few rides on my first day but after a spin on Millennium Force and Top Thrill Dragster I was very hungry and headed off to chain restaurant Olive Garden for an evening meal. The main courses there come with fee soup and salad which all sounds rather healthy until you consider that these appetisers are unlimited and so they just keep coming. The serving staff repeatedly offer you more food until you finally have to wave the white flag and move on to your main course. This is naturally completely enormous and after wading my way through that I was hanging over the table begging for mercy. I then got presented with the dessert menu which frankly just made me feel sick. I made a run for it at that point and resolved not to eat anything until the flowing lunchtime. After a morning in the park it was time to finally eat again but as is typical with most parks the food was mainly unhealthy junk. There wasn’t much on offer except burgers and here again there was a size issue. Order any meal and you are asked if you would like to go large. Looking at the basic meals they seemed quite large enough to me and the supersized options would feed an elephant. This was just as well as many of the people in line were about the size of one of those and I wondered why they were bothering to visit a theme park. There was no way they were going to fit into any of the ride restraints. Perhaps they just liked looking at them! By the time I had reached day three I was starting to suspect that I might be about to join the elephant brigade. I could feel my shorts getting tighter despite my efforts to eat sensibly. It is just a nightmare when you offered so much food. I didn’t dare look in the mirror at the hotel in case I didn’t like what I saw staring back. If I stuck around for too long I would be clinically obese in no time! After three days at Cedar Point it was time to move on to Magic Mountain. I took a flight from Detroit to Los Angeles on which several passengers struggled to fit into their seats. On arrival I picked up what appeared to be a rather large 4X4 from the car hire company. It felt like driving a tank but had been described as mid-size. I wondered what the hell a full sized vehicle might be like and I soon found out when I parked at the hotel. Next to me was a huge 4×4 that absolutely dwarfed mine. That thing was a monster but I suspected that some people might need something like that to accommodate their own bulk. Magic Mountain proved to have even more visitors than Cedar Point who could not fit onto the rides and the food portions were truly enormous. I tried some Chinese for lunch and was presented with a tray of food that would have fed an army battalion. It was too big and frankly horrid and so most of it ended up in the bin. Perhaps this nation should value quality over quantity a little more! At the end of my theme park sojourn I was 2 kgs heavier despite all the walking around and I had a new appreciation for sensibly sized vehicles. Have you ever tried to park an American car? 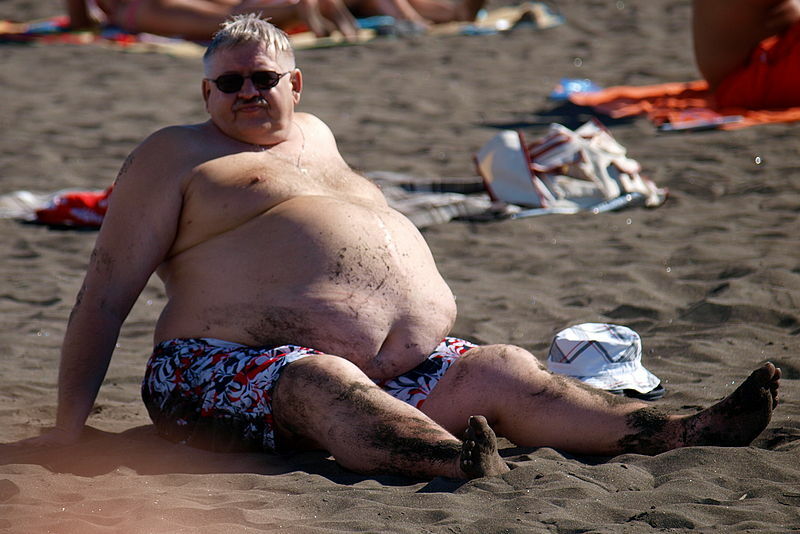 Parking a plane would be easier and those things drink fuel about as fast as the locals eat their supersized burgers.